Garapikopu is a Japanese cartoon of strange animals living on a planet called Shizuku Star, which is located in a different universe than ours! There the three friends Choromy, Mu Mu and Galapico live in a harmony and are always having the best time with each other! Now you can find them as delicious candies shaped like the fun-loving trio! 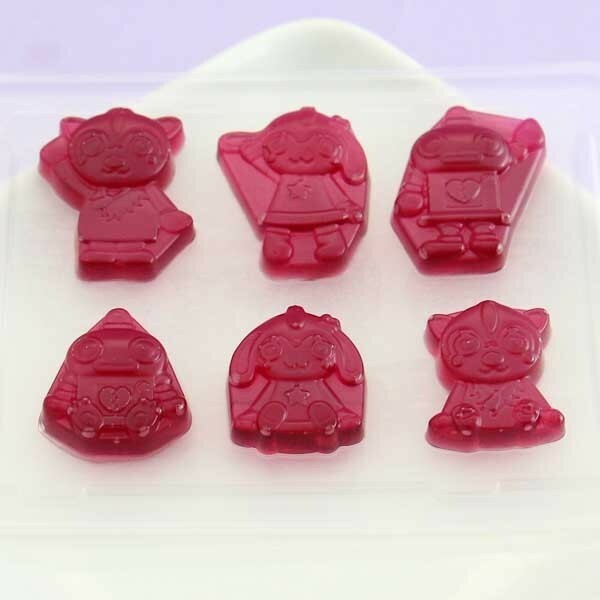 The gummy candies are super soft, easy to chew and taste like yummy grapes. 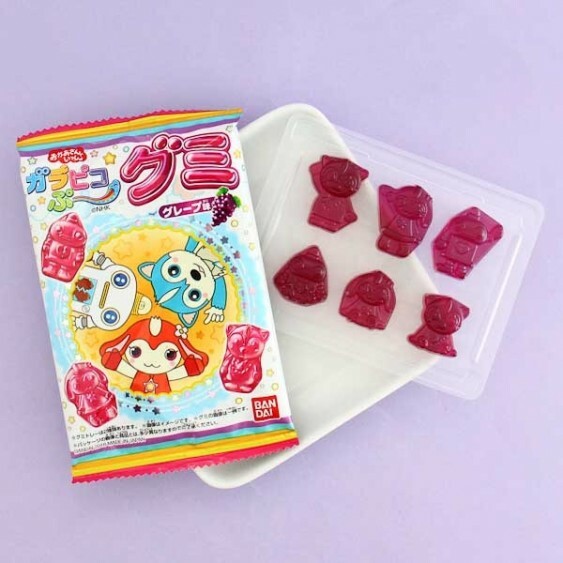 The package has 6 cute candies in a plastic mold, sealed with a thin paper which helps you to get these delicacies out of the mold one by one! Share the fun and enjoy the treats with your friends and family! Yum!